Being in Panem made everyone afraid, miserable, and hungry all the time, while people in the capital celebrated everyday and had plenty to eat. The Hunger Games, the games which basically the capital sends people to die as a punishment for them rebelling in the past, and Prim, Katniss’ little twelve-year old sister is chosen. Katniss who was older and stands a better chance of winning volunteer to take her place and to participate in the games. She meets the other tribute from their district, Peeta, whom she met when she was little and she has yet to return him a favor. Haymitch, their mentor who has won the game before, made them fake love each other in order to gain more sponsors and therefore a better chance of survival. He also tells them to stay together during the game to help each other stay alive, but Katniss runs off by herself after the bloodbath because she went for a bag and is chased by other professional tributes. She carried on on her own, she faced dehydration and poison from bees. She fought against everything the gamemakers threw at her, and manage to survive just fine with her keen hunter sense and other outdoor survival skills. I liked this novel a lot, I think it is very descriptively written and that Suzanne Collins, the author, used a lot of great vocabulary words throughout this novel. I would recommend this novel to middle schoolers, because it has strong vocabulary that are appropriate for kids at this age. I really recommend this book because it is thrilling to read how Katniss is able to survive the game even though there are tributes who are much stronger, bigger, and smarter than Katniss. It is also very interesting how in the story, the capitol is trying to kill everyone that they are governing, and it is very fascinating how Katniss and the rest of the country tries to overthrow the capitol in the most subtle ways possible. 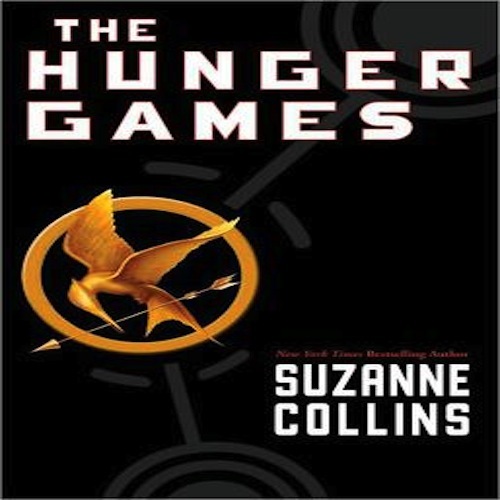 I would chose this book again if I were to go back through time, which is why I am going to rate “The Hunger Games” by Suzanne Collins 5 stars out of 5 stars. 1. How was Katniss’ father killed and left her responsible for the family? 2. How did Katniss get into the games when her name wasn’t picked? 3. How did Cinna help Peeta and Katniss make an unforgettable entrance? 4. What did Katniss do that had given her a score of 11 during the assessment? 5. What did Peeta say about Katniss during the interview that had made her very angry? 6. What did the game makers use to lure Katniss into the Cornucopia? 6a. They put only one set of bow and arrows in the Cornucopia hoping Katniss would die getting it. 7. Why didn’t Haymitch deliver Katniss water when she nearly died of thirst? 7a. He knew Katniss was close to finding water for herself, and conveyed the message by not sending it to her. 8. How did Katniss chase away the careers who camped under her tree? 8a. She dropped a tracker jabber hive under the direction of Rue. 9. Who was Katniss’ first ally in the games? 9a. Rue and Katniss met back when they dropped the hive, then they ran into each other and became friends and allies. 10. What did Katniss do after Rue’s death that got the authorities mad at her? 11. According to Peeta, what else made him feel better besides the medicine and the sleeping bag? 12. Who was the first to get the pack during the feast? 13. What did Peeta do during their first hunt that had made Katniss “jump”? 14. How did the gamemakers force the three remaining tributes together? 15. What was Katniss and Peeta’s final rebellion during the game that forced the gamemakers to announce them both victors? 15a. They got themselves poison berries and was going to eat them at the same time leaving no victors, and therefore forcing the gamemakers to let them both win.